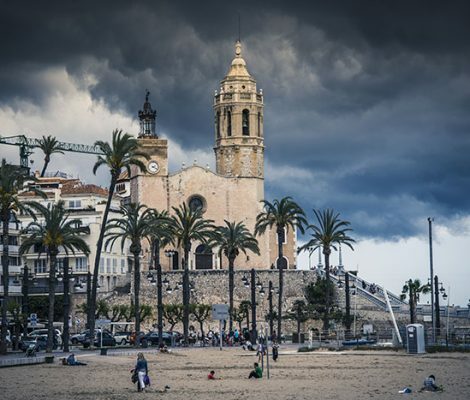 From 5 to 15 October 2017 the lovely coastal town of Sitges welcomes the very best in fantasy and horror films. You can catch some great screenings, spot celebrities on the red carpet and take part in a whole range of parallel activities such as the famous Sitges Zombie Walk. Even the town’s restaurants will be whipping up special creations, and the hotels and apartments will be full to the rafters. If you want somewhere to stay in Sitges during festival week, get your skates on and enjoy the festival! Not long to go now for eager fantasy and horror film fans. 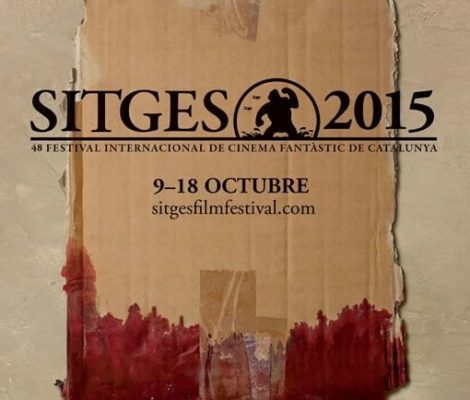 This year’s Sitges Film Festival (9–18 October 2015) reaches its 48th edition packed with some real treats. For many it is Sitges’ most eagerly anticipated yearly event. Five days of music, partying and mayhem. More than 60,000 people from all corners of the World. 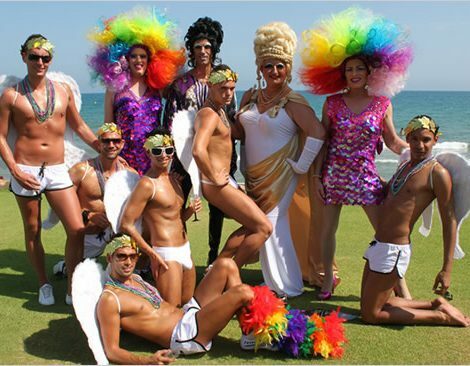 Concerts, fashion, acceptance, sun, beach, parades, shows…We are talking about Sitges Gay Pride. Sitges, the beautiful sea side resort town just outside of Barcelona, is going to host the International Bears Meeting which attracts thousands of bears, cubs and chasers from all over Europe and the World in a celebration of Bear culture and the event marks the unofficial beginning of summer. Sitges International Bears Meeting 2014 takes place in Sitges from May the 1st to May the 5th. Sitges Carnival is here again, that one time of the year when anything goes, a week long celebration of hedonism and debauchery occurring this year from the 7th to the 14th of February in the streets of Sitges. The most famous of all Carnivals in Spain it attracts visitors from all over the globe to watch and participate in the week long events which include the famous Debauchery and Extermination Parades. Various prophecies, among them those based in the ancient Mayan calendar, say that the world will end this December 2012. 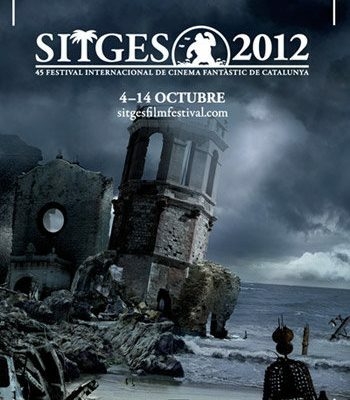 Luckily, the fantasy Film Festival in Sitges will be celebrated beforehand, from the 4th to the 14th of October. The dates for Sitges Pride 2012 have been officially set as the 5th to the 9th of July. Festival organisers, however, are being particularly coquettish about revealing the official programme. We have, however, been able to glean certain amounts of information about the 2012 Pride programme from our various sources. Here’s what we’ve been able to find out. 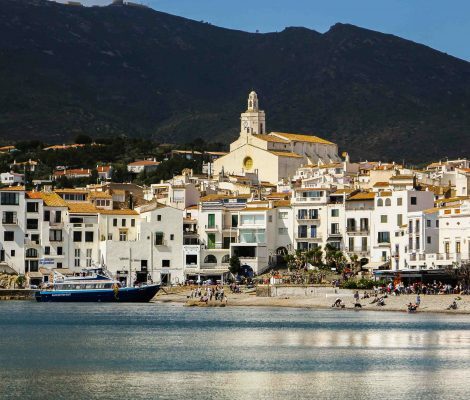 With summer just starting to kick in, we need very little excuse to take a cheeky holiday in Sitges, one of our favourite destinations in Spain. 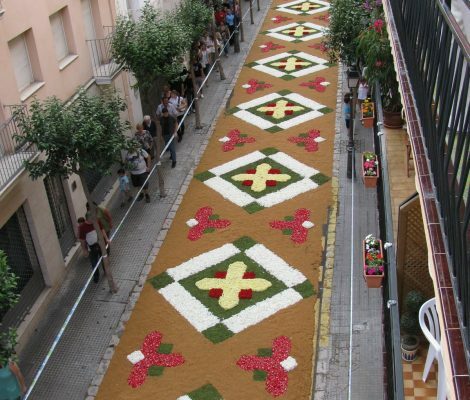 Fortunately, we’ve found one: the religious festival of Corpus Christi, which celebrated every year in Sitges with blankets of fresh flowers that line the streets of the city. This year, the Corpus Christi festival will be held from the 9th to the 17th June. 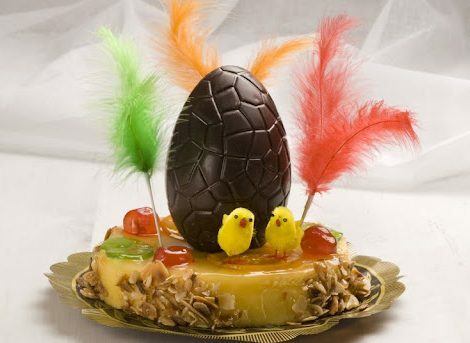 The beginning of the Easter week (Semana Santa) in Sitges is also the start of spring, which from then onwards slowly moves into the summer season.It is also the beginning of the first major vacation and many people take the opportunity to escape from work for a couple of days. Thousands of visitors from all regions of Spain and Europe arrive every year in Sitges.